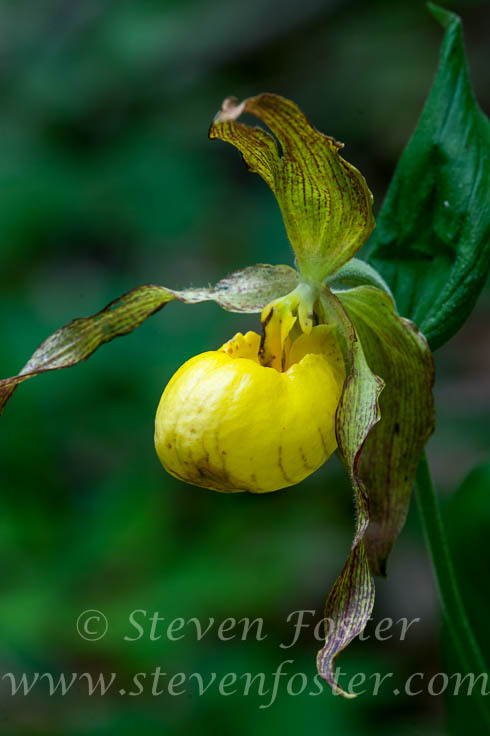 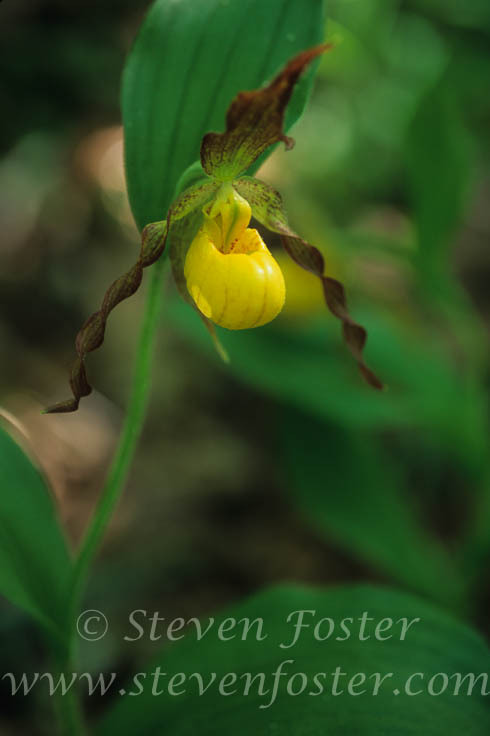 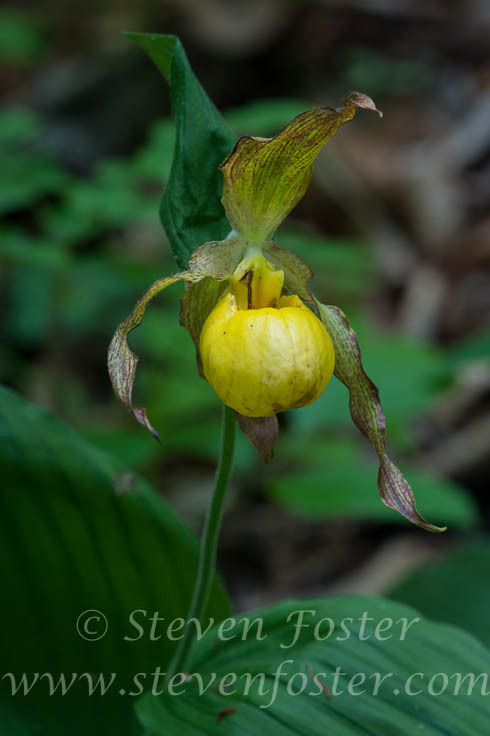 Photos of Cypripedium parviflorum, Cyrpripedium pubescens, Cypripedium calceolus, Large Yellow Lady's Slipper, Yellow Lady's Slipper. 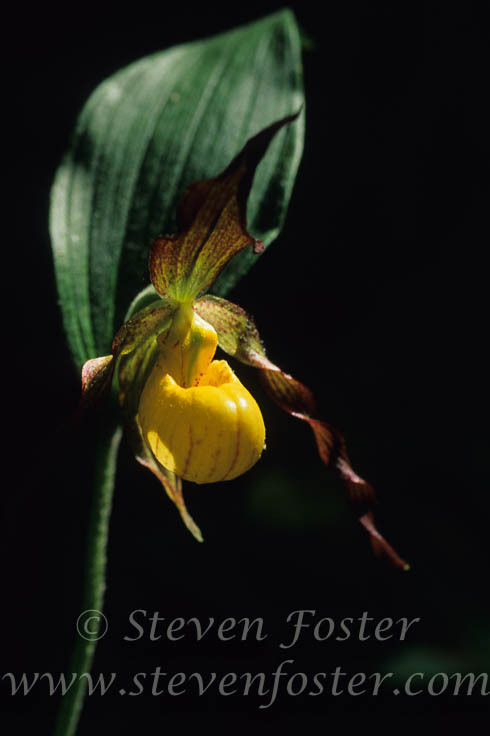 Cypripedium parviflorum, Cypripedium pubescens, Cypripedium calceolus, Yellow Lady's Slipper. 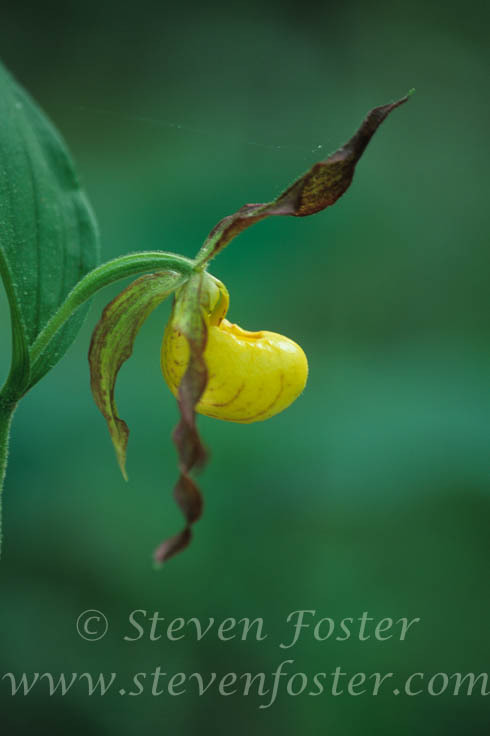 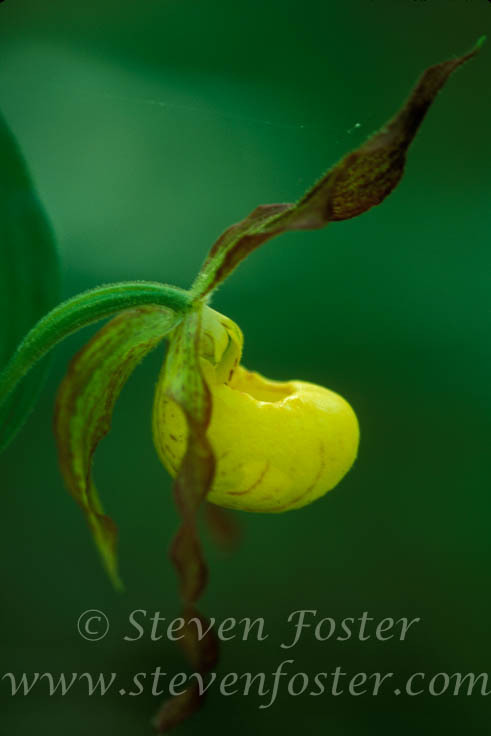 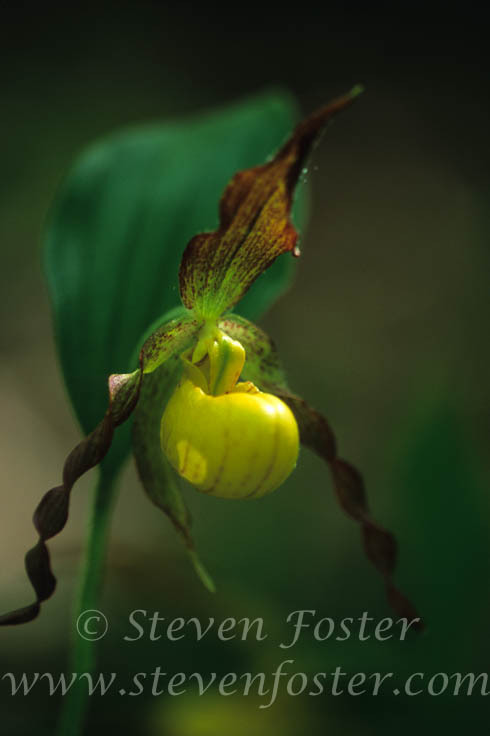 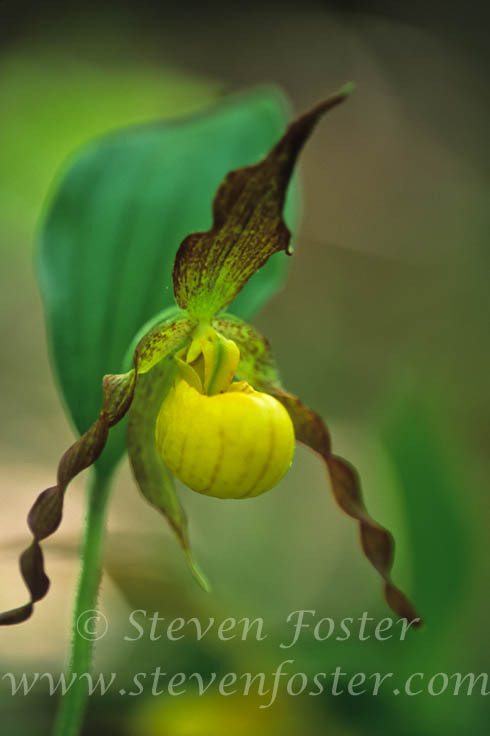 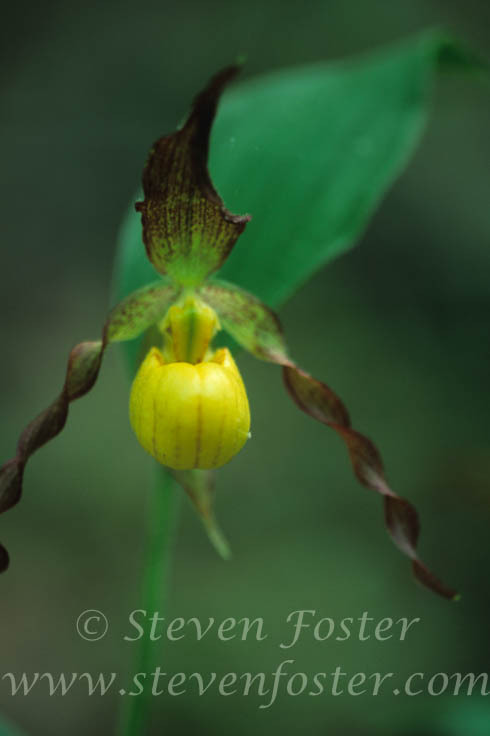 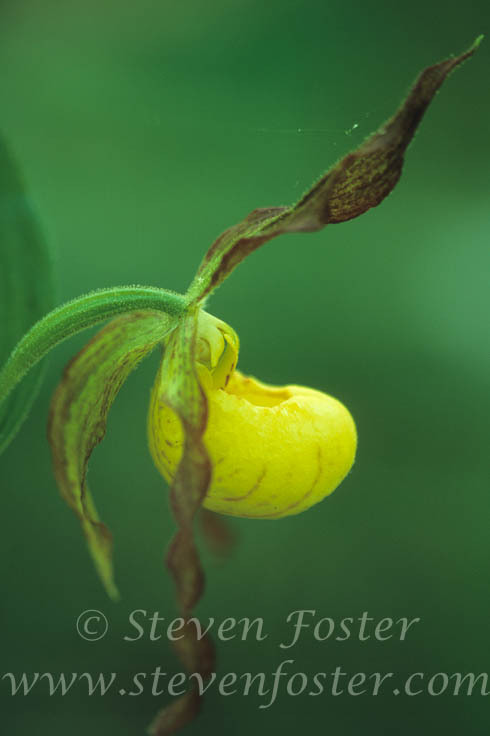 Yellow Lady's Slipper, is a highly variable complex of Cypripedium which seems to defy botanical agreement in nomenclature. 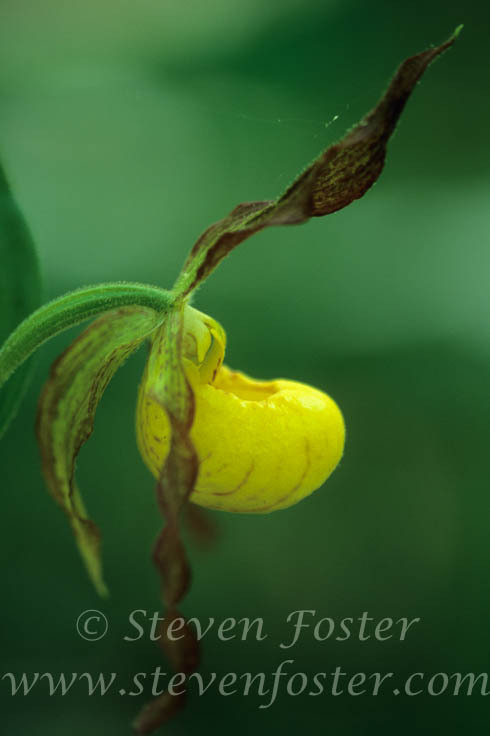 Basically all yellow lady's slippers were sold in the botanical trade in ninteenth century America as a substitute for Valerian. 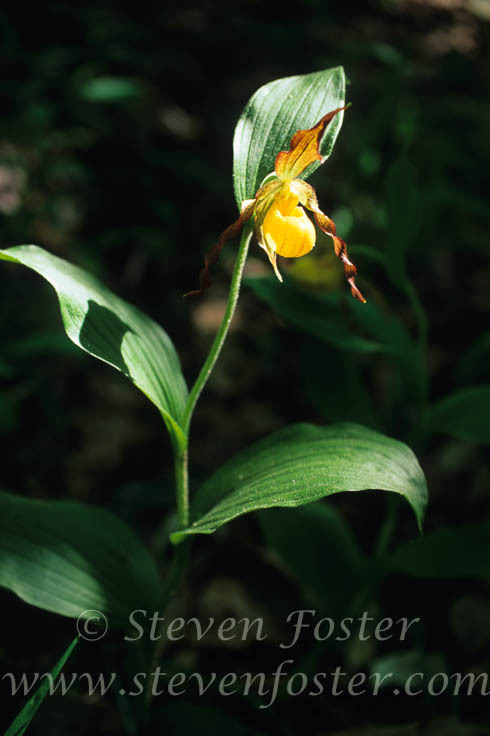 They are also dug for the horticulture trade. 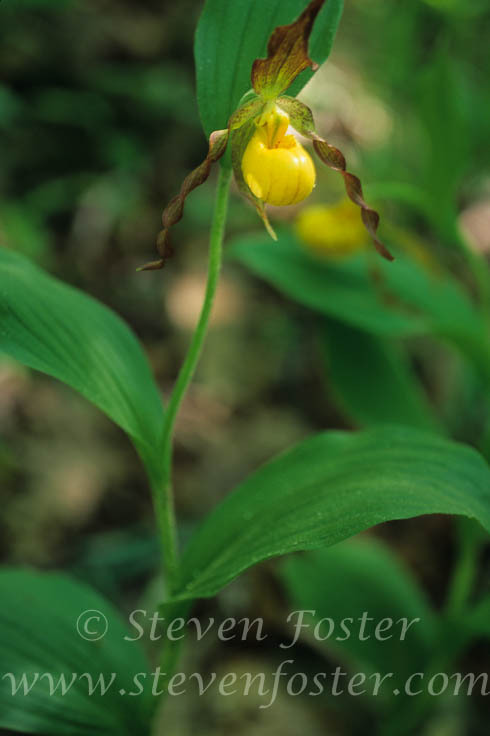 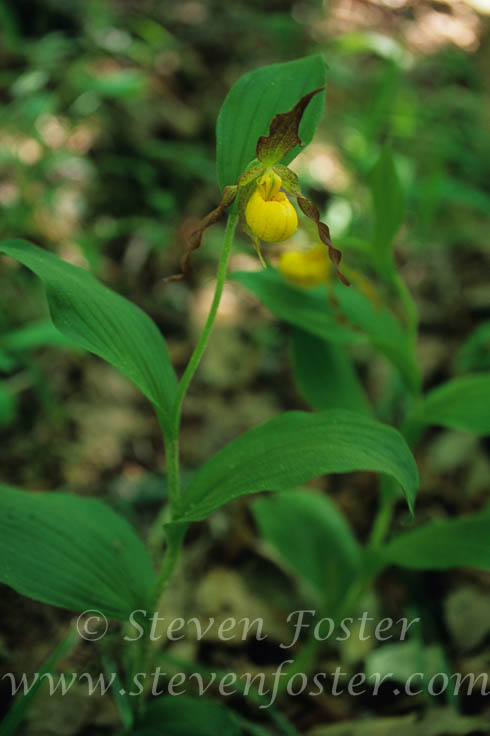 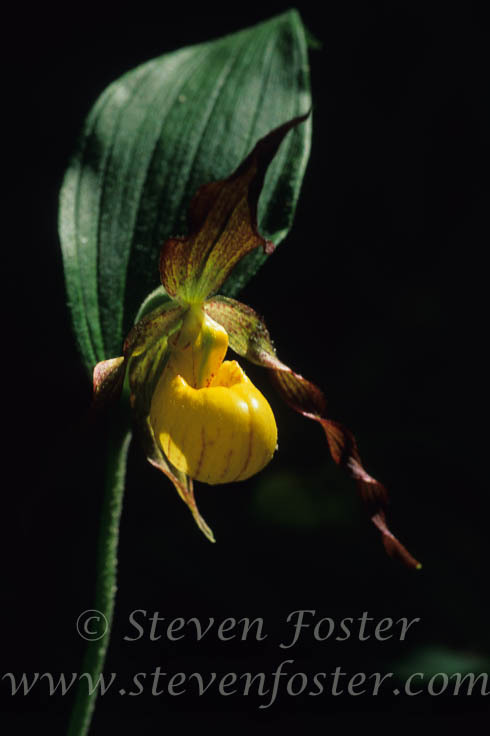 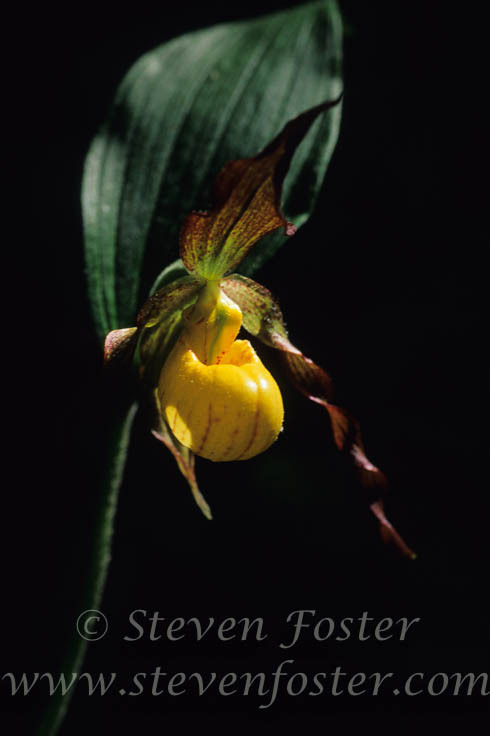 Given declining habitat and genetic variation, yellow lady's slippers should simply be left alone in their wild habitats. Enjoy the view, but don't touch.